The term “hacker” isn’t exactly a positive one. For most, it probably conjures up images of shrouded silhouettes working furiously at a keyboard for some nefarious purpose. While that stereotype may hold some truth, the reality is, being a hacker doesn’t necessarily mean you are a “bad guy.” In fact, there’s something called “ethical hacking,” and it can mean the difference between a secure system or a total system failure for many organizations. Today, in this age of security leaks and identity theft, cyber security has become a critical area for companies to focus on as they work to ensure their users’ information is kept safe and unhackable. EC-council certifications like Certified Ethical Hacker (CEH) and Licensed Penetration Tester (LPT) are designed to provide the foundation needed by every electronic commerce and security professional. Let’s look deeper at what each of these titles means, and how you can use your powers for good by pursuing one or both of these certifications. In general, for a hacking activity to be considered ethical, the hacker must have expressed, written permission to probe a network for potential security failures. The hacker must respect both the company’s and individual’s privacy, must secure his or her work to ensure no one else will be able to access it, and must share any and all knowledge obtained about vulnerabilities found in the company’s network. At its most basic level, ethical hacking is the act of behaving like a criminal-minded hacker to identify weaknesses or vulnerabilities in an organization’s network. The work done by ethical hackers can do great things to improve a company’s security and ensure its users’ information is safe. To become a Certified Ethical Hacker, one must pass the Ethical Hacking and Countermeasures Exam, provided by the International Council of E-Commerce Consultants. What is a Licensed Penetration Tester? To become an LPT, one must first pass the Certified Ethical Hacker (CEH) Certification and EC-Council Certified Security Analyst (ECSA) certification. An LPT, at its most basic level, is an individual who knows how to analyze the security position of a network exhaustively, and can recommend smart strategies and measures to correct any failures in a network’s security. Both of these roles are critical to assessing and improve a network’s security. Given this topic is top of mind for any and all companies worth their salt, it would make sense that a security-minded individual with a penchant for hacking might be interested in pursuing this certification. Internet technologies have revolutionized the way we do business today, but they’ve also introduced a whole host of vulnerabilities and weaknesses. That’s where CEH and LPT certifications come in. If you want to help today’s companies secure their data now and in years to come, consider pursuing one or both of these certifications. ONLC offers courses designed to give you all the skills and training you need to master these skills. Want to have all the fun of a hacker, but do it for a good cause? 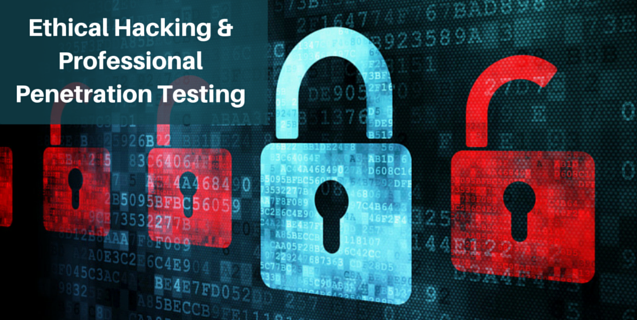 Start working toward your professional penetration testing certification today. My brother has been wanting to start a business online and is interested in security. You mentioned that in general, for a hacking activity to be considered ethical, the hacker must have expressed, written permission to probe a network for potential security failures. I had no idea this type of hacking existed. Do all companies use this type of security?